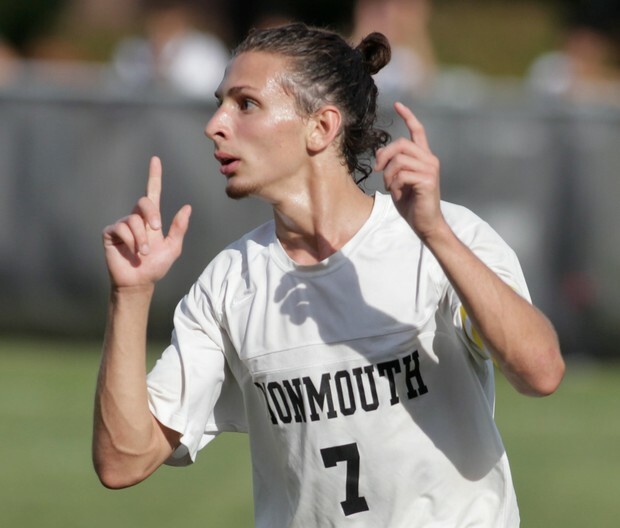 TINTON FALLS – In the state of New Jersey, the number one scorer in soccer is Joel Burgos, 17, with 24 goals so far this season. A senior at Monmouth Regional High School in Tinton Falls, Burgos is a lifelong United Methodist, originally from Puerto Rico and member of Oasis UMC in Pleasantville. He currently attends Simpson UMC in Perth Amboy and is captain of his school’s Varsity Boys Soccer Team. Burgos was voted Player of the Week during the Sept. 18 Shore Conference. He attributes his faith to his focus on the field. “My faith keeps me calm, focused, and level-headed so I can go out there, perform my best, and do what I have to do to make sure my team has the best possibility to win,” he said. Burgos plans to continue his education studying health science and is interested in physical therapy and sports medicine. He dreams about playing soccer in college in Division 1 and is currently exploring several universities that have shown interest in recruiting him for their soccer teams. In the meantime, Burgos wants to go on an international mission trip.